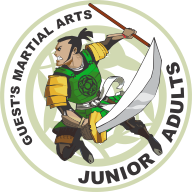 Confidence for children is something that is developed by training at Guest Martial Arts. This confidence is then carried within your child and used by them every day of their life. When a child has the courage to overcome obstacles, success naturally follows. 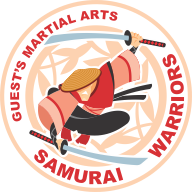 Classes at Guests Martial Arts teach children how to gain control of their minds, bodies and emotions. We teach kids to think before they act and how to develop self discipline. They learn to show respect for themselves, their parents, siblings and their teachers. Their concentration and listening skills improve, and as a result, many of our students have greatly improved their school grades. Our program challenges the entire body, mind and spirit and develops better hand eye coordination, balance and agility. At our school martial arts is just the beginning of a students experiences, we have high expectations for their growth on all levels, not just physical but mentally as well. We have specific programs in place to develop their social skills and build strong character using a system of projects that we have developed right here at our school to use exclusively in our program. Tournaments, Yes or No ? When we stand up in front of your child and say " its wrong to hit another person unless they are trying to hurt you " we actually mean it...... It would be wrong of us to then say “Next Saturday there’s a tournament on, let's fight hard and win win win etc ...” The simple truth is you either reward a child for hitting or you tell them it's wrong to do it.......it can't be both ways, at least not to an 8 year old. And at the tournament guess what happens? The kid who hits the most kids gets the biggest trophy, patted on the back and told well done. At the end of the day, no matter what you're told, or how it's sold to you, one child is being rewarded for hitting another child. 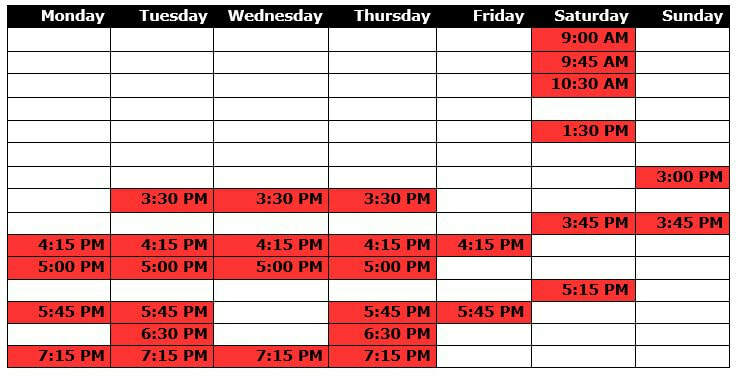 My other problem with tournaments is when you join a school you're told…. “It’s ok, tournaments aren't compulsory!" ........but guess who gets the most attention in class. Instead of chasing trophies by trudging around to tournament after tournament all over the state at a huge financial cost to you, long drives or flights, hotels, restaurants, protective equipment, start winning and it can be thousands of dollars for international comps! No I'm not kidding! 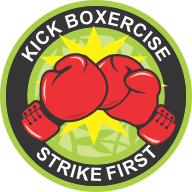 So instead of all that our full focus, 100% of the time, is on age appropriate self defence based martial arts and helping families be happy and healthy. "He has been helping around the house so much more now, but he is enjoying it at the same time. Teaching his sister good lessons. His reading has been outstanding"
​Lets look at that for a moment - Getting on well with his sister, cleaning his room, readings getting much better and he's happy to do it. You bet mum's happy about it...... wouldn't you be? Or this ... “Madison’s Manners & Reading is going great. She is working hard, cleaning up her room, spelling words. She has improved 100%”....... Mum and Dad "she has improved 100%"..... that's what it's all about! All this talk of values may have misled you. 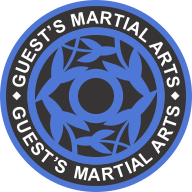 Be assured, we do teach very effective Martial Arts. Your child will end up knowing how to protect themselves and they'll know how to avoid danger and how to use conflict resolution techniques -- with AND without throwing a kick, block, or punch! Here's a small selection of referrals our students parents have written to us about the positive changes in their child since starting at Guests Martial Arts. Just so you know all of these and many more testimonials are available for you to see at reception in the parent’s handwriting nothing has been changed and all were completely unsolicited by us. 1. "Lochie (7) has shown a very mature attitude towards the discipline required of his tasks. His exercises have been completed without any parent prompts. His willingness to help his younger sister with her requirements has shown a maturity that has pleased and impressed us immensely. But above all else Lochie has realised the benefit of the course and is loving every minute! 2. "Wonderful effort this month, Jayden has been very helpful & a big improvement can be seen at home. 3. 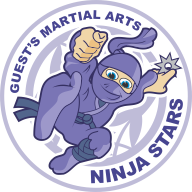 "It has been a good three months since we have been doing Ninja Stars consistently. Looking back on past goals for Max , we can see that he has achieved goals of independence such as brushing his teeth, feeding himself, drying himself. We are looking forward to new goals and a consistent routine"
4. "Ahmed has been wonderful this month, he has applied himself and ﻿spent 30 minutes twice a week training at home. ﻿Well done ! 5. "What a little helper !!! Cleaning the house and playroom without being told! Riley has been doing a great job with his dinner and he even came home with stickers from school for being good and listening to his teacher and being a helper..... what more can a parent ask for!"